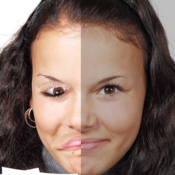 Do you have an Evil Twin? 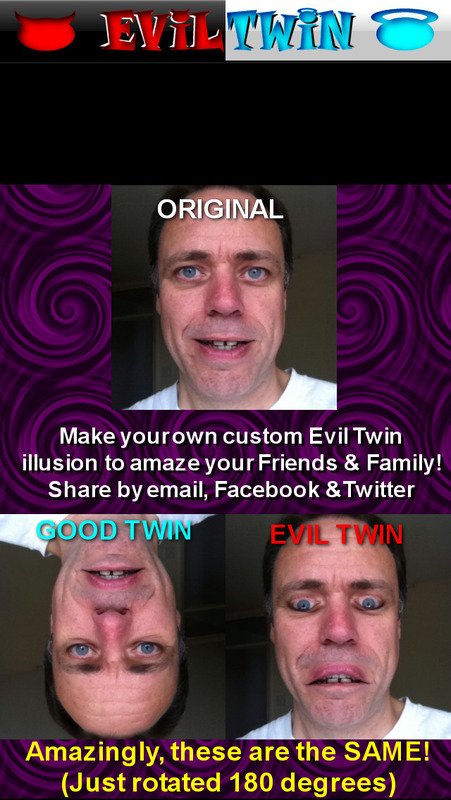 Make your own Evil Twin 'selfie' with this fun photo app - amaze and surprise your friends and yourself! 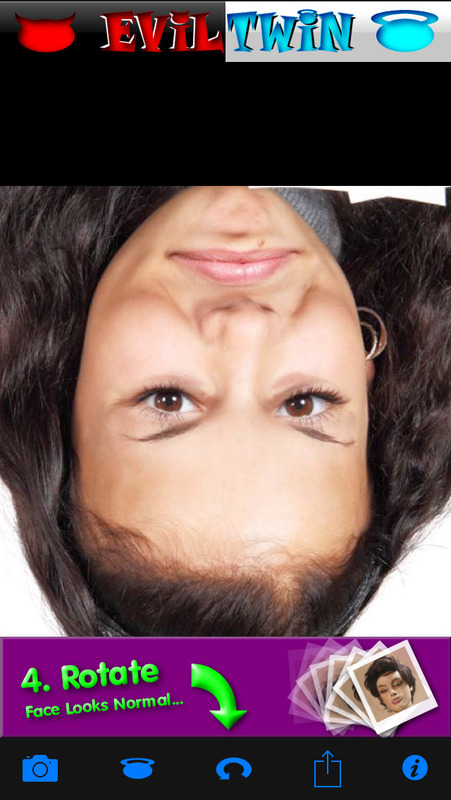 Your Evil Twin looks normal when viewed upside-down, but turn the photo round and it looks quite disturbing! This app is wicked cool! The illusion works really well and my kids love it. Well worth a look. Interesting illusion giving an insight into the way our brains visualise and recognise facial features. You can get some fun weird pictures of yourself through the iPhone camera, or start with a photo of someone else for some amusing results.